The story centers around Amaya, Iwasawa, and Ueharathree "annoying, spirited high school girls with zero motivation"and their classmates. Their daily life is "what happens when there is nothing happening." 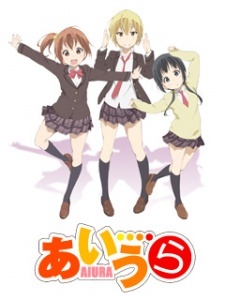 Watch Aiura Episodes Online at Animegg.org. Aiura is available in High Definition only through Animegg.org. Choose an episode below and start watching Aiura in Subbed & Dubbed HD now.